Moth bean (Vigna aconitifolia(Jacq.) Marechal,is one of the important crops extensively grown in India mainly as a rain fed crop in kharif season primarily in the state of U.P. and Rajasthan besides other states on a limited scale. It belongs to the family ‘Leguminosae’. (Jain and Mehra,1980; Banerjee et al,1983;Pant,1990; Stephan,1994; Chaturvedi.D.,2009). Number of fungal diseases of moth bean which resulted in heavy losses of the crop was reported from various part of the country and the pathogen being both seed and soil borne may attack the plant at any growth stage, however maximum damage reported to be caused at seedling and seed maturing stage of the crop. (Aghnihotri et al., 1987; Byadgi and Hedge, 1988; Rathore et al, 1999, Lakhey and Shakya; 2007).The extent of yield loss depends on the stage at which the plants are affected. As in case of M.phaseolina it was observed plant was found to be Maximum diseased at Harvesting and Post Harvesting stages. Little work has been done on the pathogenic variability of M.phaseolina,and its correlation with plant age stages. Hence, these studies were undertaken. Root rot affected plant samples were collected from moth growing fields.M.phaseolina(Tassi.)Goid. was isolated from there samples and single spores of each isolate were transferred to sabarouds agar medium and incubated as 28±1ºC. Mycelial bits of 5 mm.diameter was resumed from 7 day old culture of each isolate, inoculated on Sabarouds agar and incubated at 28±2ºC for 7 days. The morphological and cultural characteristics of colony were assessed for mycelia growth, sporulation, and sclerotia size. Three methods of inoculation viz., Wound method, Soil drenching with inoculums and soil infestation were conducted. In Wound Method,Moth bean (Jacq. )Marechal seedlings were planted in four wooden boxes (3 planted in each and was maintained on PDA (Potato Dextrose Agar).Plants were wounded above the soil line with a sterile scalpel. A small portion of mycelium from a 7 day old moth bean broth culture grown at 25+3°C was placed into the wound cut of half of the plants. Then all wounds were covered with petroleum jelly (Vaseline) to prevent drying. After 14 days, lesions observations were made, then plants (according to their age) were cut off at the soil line, and observations on necrosis were made. (Upadhyay and Pandey, 2000). The collar regions and roots were examined under a dissecting microscope.Four wooden boxes with three plants in each were wound-inoculated with Macrophomina phaseolina as described above. Four boxes (three plants in each) wounded, but non-inoculated, plants served as controls. In soil drenching method, seedlings of 8 days old were used. A spore suspension was poured around the root zone in the soil by disturbing the root zone. In soil infestation method, the fungus was grown on autoclaved sorghum seeds for 8-10 days. The inoculums was mixed with soil and left for 7 days. Then moth seeds were sown in captan solution (0.2%) for 2 hours and then sown. When individual plants first expressed symptoms (7-14 days after inoculation).They were sectioned with a rotary microtome and stained with safranin.Sections were examined under a light microscope for the presence of M.phaseolina mycelium,Sclerotia,Pycnidiospores. (Dhingra and Sinclair,1975. ;Singh and Mehrotra,1982,Mukherjee et al.,1983;Singh and Sandhu,1994). The isolates showed great variability in colony characteristics such as mycelia growth, Sporulation.. Significant difference in virulence was observed in isolates.Isolates of latter stage produced more sporulation (++++) in the medium Similarly Desai et al.2003 also suggested that highly virulent isolates produced abundant sporulation. All inoculated plants starts showing symptoms in 14 days as lesions enlarged. The youngest plants (15 days old) wilted and show 3.68% disease incidence within 7-8 days and the oldest plant (60 days old) shows 90.5% disease incidence after inoculation. The average lesions size at the time of rotting increased with increase in plant age and were related to collar region size. Table 1 revealed the influence of plant age on its susceptibility to rot. It was observed that 60 days old plants (Mature Stage) bearing mature pod were more susceptible to disease than younger plants (15 days). Maximum disease incidence in plants occurs at maturity then seedling and flowering stages. Similar studies were done by Cheng and Tu, 1972. He found that the susceptibility of plants toMacrophomina increased with age. In this study, age of plants played a significant role in disease infection. It was observed that the younger plants at 10 and 15 days were less susceptible to infection for all the inoculations methods than plants at 60 days.This agree with Agrios (2005),who reported that plant age is important in disease infection.He also reported that plants in their reactions (susceptibility or resistance)to disease depends largerly on age and for instance infections caused by phytium;damping off and root rots ,downy mildews, bacterial blight and viral infections, The host plants are susceptible during the growth period and become resistant during the adult period but that’s exception with moth bean. So depending on the particular plant-pathogen combination, the greater the no. of pathogen propagules within or near fields of host plants, the more inoculums reaches the host. The histopathology and isolation of the fungus from collar region portions suggested that the fungus mycelium grows rapidly and is associated with discoloration.The symptoms revealed dark browning and shredding of stem, numerous black microsclerotia were observed in the root and collar regions of infected plants.Similar symptoms were recorded by Vallijos(1988).Percentage disease observed 90.5% at 60 days crop age and 3.68% at younger stages. Maximum disease incidence in plants occurs at maturity than at younger stages. This may be the effect of physiological state of plants. (Sheldrake,1978). Root rot development in moth bean plants is probably due to tissue disintegration,caused by enzymes and toxin activity.In plants(30-60 days)old,Sclerotia may contribute to symptom development,assuming that they occur in naturally infected plants. Also, viable sclerotia of the fungus in moth bean plant debris may be a source of inoculum for stored seed or for introducing the pathogen into non-infested fields. (Banerjee et al,1982;Pareek and Jain,1997;Upadhyay and Pandey,2000). These studies demonstrate the role and association of plant age in the causation,development and spread of root rot diseases of moth bean.The reaction of the pathogen against the plant age help us to draw conclusion that Macrophomina phaseolina was found to be more wild at maturity stage.The pathogen infects the moth plant at all ages but heavy loss observed at maturity stage in comparison to other stages. 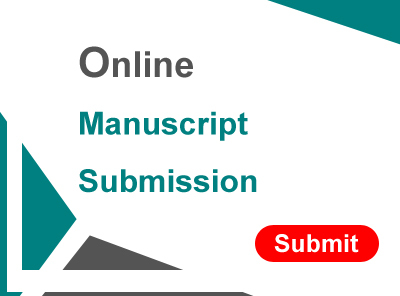 It is a great oppurtunity for me to write about”Effect of plant age upon development of necrosis and occurrence of sclerotia, pycnidiospores in moth bean infected with Macrophomina phaseolina”.The research paper is made possible through the help and support of my well wishers! First and foremost,I would like to thank God for his unconditional guidance and wisdom as i make my research!I owe a debt of gratitude to Esteemed Professor L.C. Sharmaji,(Ex faculty AU)Rajasthan for the vision and forsight which inspired me to conceive this work.Highly grateful for providing me with material and links that I could not possibly have discoverd my own!Thank you so much Sir!I would like to thank my Guide Dr. Savita Pareek,Ex Professor,BU)Rajasthan for her support and encouragment for giving us this research.I am highly indebted and thoroughly grateful to Professor Vinay Sharma(Dean and HOD,BU)Rajasthan for his suggestions,his precious and kind advice.Sir, I do not think I can ever repay the debt I owe you!Finally I sincerely thanks to my Parents,My Husband, my family who provide the financial support and cooperation.Once again,thanks everyone who collaborated in producing this work ! Agnihotri,J.P.,Majumdar,V.L.,and Rathore,G.S. :In Diseases of moth bean.Symposium on diseases of oil seed and pulses crop and their control,:31-41,(1987). Banerjee,S.,Mukherjee,B.,and Sen,C. :Survival of mycelia and Sclerotia of M.phaseolina in soil:Influence of moisture and temperature,Indian J.Plant.Pathol.1:20-23(1983). Dhingra,O.D.and Sinclair,J.B. :Survival of Macrophomina phaseolina sclerotia in soil,Phytopathology,65:236-242(1975). Hooda,I.and Grover,R.K..;Effects of age,quantity of inoculum and isolates of M.phaseolina on the pathogenesis of mung bean and its control by chemicals.Indian Phytopath.41(1):107-117(1988). Khare,M.N.,Jain,N.K.and Sharma,H.C. ;Variations among Rhizoctonia bataticola isolates from urid bean plant parts and soil,Phytopathology,60;(1973). Lodha,S. ;Effect of sources of inoculums on population dynamics of M.phaseolina and disease intensity in cluster bean,Indian phytopath.51(2):175-179(1998). Nene,Y.L. ;Survey of pigeon pea diseases with special reference to wilt and sterility diseases .All India worksop on assesment of crop losses due to pests and diseases.University of Agricultural Sciences,Bangalore(1977). Pareek,S.and Jain,B.L. ;Survival of M.phaseolina in sterilized and unsterilized soil.Journal of environment and pollution.4(3):225(1997). Rathore,B.S.and Rathore,R.S. ;Effect of seed dresser.J.Mycol.Pl,Pathol.,29:389-392(2000). Singh,P.and Mehrotra,R.S. ;Penetration and Invasion of gram roots by R. Bataticola,Indian phytopathology,85:336-338(1982). Singh,S.K.and Srivastava,H.P. ;M.phaseolina disease of moth bean..Indian phytopath.42:164-167(1989). Upadhyay and Pandey. ;Isolates of Fungi.Phytopath.(2002). Vallijos,O.U.,Macrophomina phaseolina in bean fields.Fitopathologia,23:81-85(1988). TABLE 1.Effect of crop age on root rot disease development in moth bean (Vigna aconitifolia )(Jacq.)Marechal. Chaturvedi, D. (2017). Effect of plant age upon development of necrosis and occurrence of sclerotia, pycnidiospores in moth been infected with Macrophomina phaseolina (Tassi.) Goid. 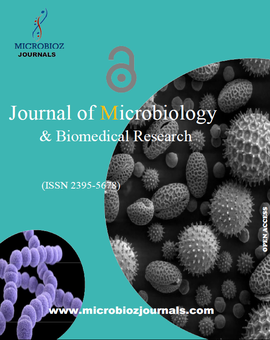 Microbioz Journals, Journal of Microbiology and Biomedical Research, 3(1).